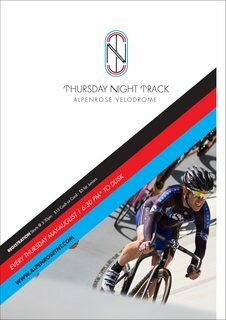 Looks like we���ll have another beautiful night of racing at Alpenrose Velodrome! Come get your racing in before the weekend rain starts. I���ve added an Open Women���s Category for the month of June. Super Sprint - The Super Sprint begins as an Elimination Race, neutral lap, 3 laps, then pulling the last rider across the finish line every lap until five riders remain. The remaining five riders then see 3 laps on the board and finish as a scratch race.